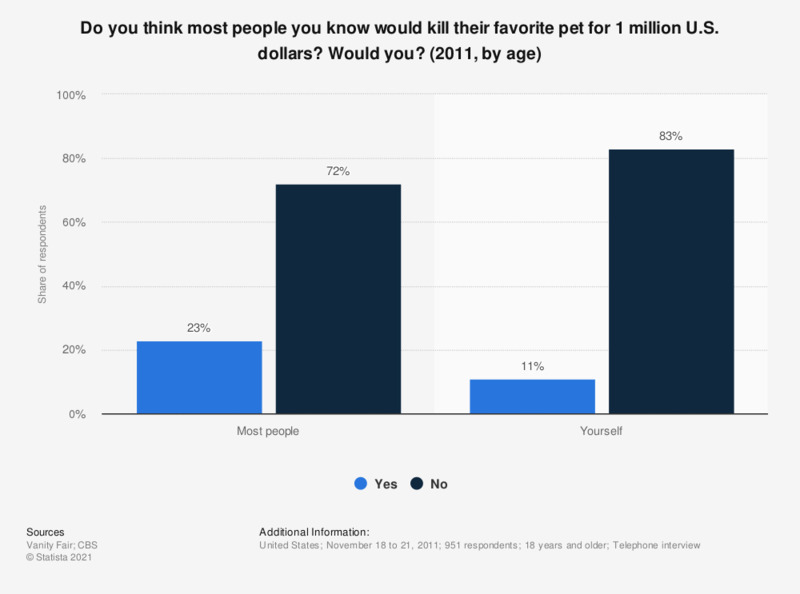 This statistic shows the results of a 2011 survey among American adults on whether they think that most people they know would kill their favorite pet for 1 million U.S. dollars, or not. Additionally, they were asked if they would do so themselves. 23 percent of respondents believe that most people they know would kill their favorite pet for 1 million U.S. dollars. According to the source, some low-percentage answer choices have been omitted.